This was a difficult book for our book club. And for those who were fans of “To Kill A Mockingbird”, it was a challenging book. It follows Scout’s journey into adulthood as she grows and finds her own moral compass, as opposed to her fathers’. Learning that not everyone is perfect and she either needs to accept the prejudices and constraints of her hometown, or to rail against them. We found this novel slow to start and some of our readers struggled to finish. While those who did have mixed emotions. It dealt with similar themes to the first novel that are still very much relevant today, but with a more adult viewpoint. Not to give too much away, we missed Jem from the first novel. While he does appear via flashbacks throughout, we missed the relationship between Jem and his sister, Scout and them in turn with Atticus. All in all, we felt it was worth reading and for the right person, we would recommend this book. 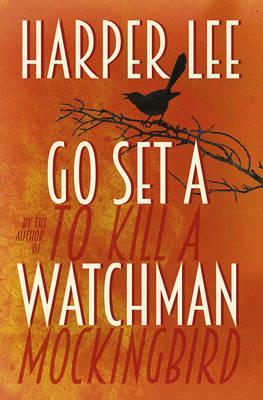 This entry was posted in Book Club Kits, Book Reviews, Fiction and tagged Go Set A Watchman, Harper Lee by admin. Bookmark the permalink.